COFFEE. A quick look around shows how deeply coffee has sunk into our culture. First thing in the morning, you grab a coffee. Coffee is what you drink at work to keep you going. It is what you drink when you are meeting with an old friend when grabbing a beer is not an option. Okay, I’ll admit it, … we have a coffee problem, which is that we just ran out and need more! It is no accident that the taste of Burnside has strong coffee notes. We created this beer by talking about the flavors we were looking for in the glass, and worked backwards. With Burnside, we wanted to highlight the roasted notes, coffee and chocolate, with enough malt and caramel sweetness to bind everything together. However, we decided that it would be fun to give it even more of a punch. So, Burnside on Coffee was born. We cold-brewed locally roasted premium coffee beans, which highlights the natural flavors of the coffee, but does not extract the bitterness. We then blended that coffee extraction heavily with Burnside. The final result is a smooth, delicious, rounded beer with deep coffee aroma and flavor throughout. We made a special keg of this beer for our Meet the Brewers event tonight at the Foreside Tavern, in which we nearly doubled the amount of coffee added to Burnside, sure to make it even more amazing than the blend we served last weekend at the brewery. 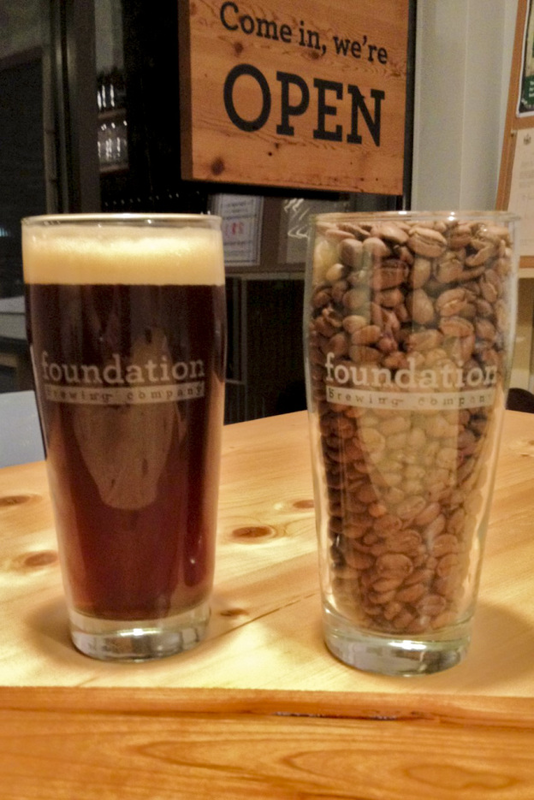 The event runs from 5:30-7 pm tonight, and we would love to share a pint with you!